In the United States, each state has the authority to regulate the production, sale, and distribution of alcohol within its borders. This means state and local jurisdictions may have their own requirements in addition to federal requirements. State laws and regulations vary widely from state to state, and may be more restrictive than federal regulations. (M) Mandatory - States that require at least some alcohol servers/sellers, managers, and/or licensees to attend training. 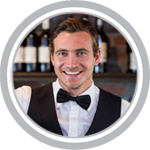 (V) Voluntary - States that provide incentives to licensees for servers/sellers, managers, and/or licensees to participate in training programs. (M+V) Voluntary and Mandatory - States may have both types of programs. For example, a State may mandate training for new licenses and offer voluntary programs for existing licensees. Alternatively, a State may have a mandatory program and offer a more intensive, voluntary program that provides additional benefits for licensees choosing to participate in both. (NL) No Law - States that have no statutory or regulatory provisions pertaining to mandatory or voluntary Beverage Service Training and Related Practices programs. The information in the chart is just a guide and believed to be accurate at the time provided. No warranty of accuracy is given. Please check with your liquor control agency or regulatory body within your jurisdiction for the most current information.